The National Skill Development Missionaims to provide a strong institutional framework at the Centre and States for implementation of skilling activities in the country. 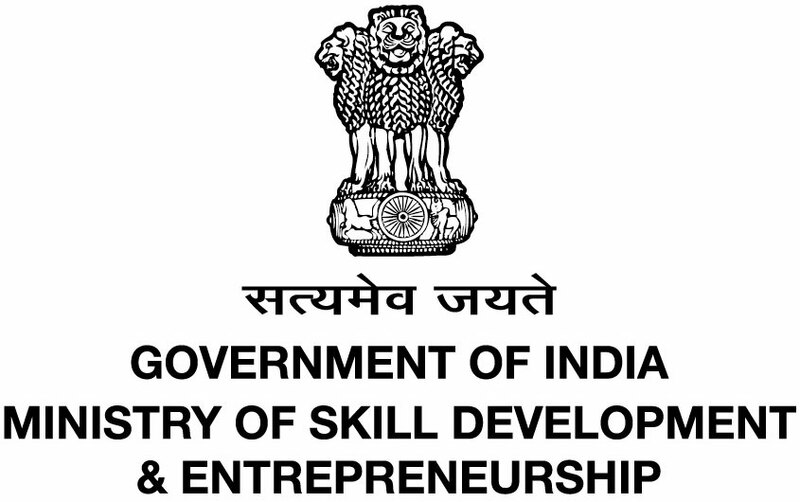 The Steering Committee, chaired by Minister in Charge of Skill Development, will review the Mission’s activitiesin line with the direction set by the Governing Council. The Mission Directorate, with Secretary, Skill Development, will ensure implementation, coordination and convergenceof skilling activities across Central Ministries/Departments and State Governments. The Ministry of Skill Development and Entrepreneurship (MSDE) provides a natural home for the Mission, organically linking all three decisions making levels. According to government estimates, more than 1.04 Crore youth have been trained under the Skill India Mission in the year 2015-16 which is 36.8% higher than the previous year’s recorded data. It is an outcome based skill certification scheme implemented by National Skill DevelopmentCorporation (NSDC). The objective is to enable a large number of Indian youth to take up industry-relevantskill training that will help them in securing a better livelihood. Individuals with prior learning experience or skills will also be assessed and certifiedunder Recognition of Prior Learning (RPL). Placement guidelines and monitoring guidelines. The main objective of the scheme is to promote apprenticeship training and to increase the engagement of apprentices from present 2.3 lakh to 50 lakh cumulatively by 2020. NAPS is implemented by Director General of Training (DGT) under the aegis of Union Ministry of Skill Development and Entrepreneurship (MSDE). Under the scheme, the Ministry of Skill Development and Entrepreneurship will share 25% of the total stipend payable to an apprentice with employers. The government will also fund 50% of the total expenditure incurred by the employer in providing basis training to apprentices. All transactions including registration by employers, apprentices, registration of contract and payment to employers will be made in online mode. This scheme will cover all categories of apprentices except the Graduate, Technician and Technician (Vocational) apprentices which are covered by the scheme administered by Ministry of Human Resource Development. The National Policy of Skill Development and Entrepreneurship, 2015 focuses on apprenticeship as one of the key components for creating skilled manpower in India. The programme aims to provide skills training and enhance the employability ofunemployed youth of J&K. The scheme covers graduates, post graduates and three year engineering diploma holders. The key stakeholders are Ministry of Home Affairs (MHA), State Government (Jammu &Kashmir), Corporates and National Skill Development Corporation (NSDC). Another scheme of the same name is implemented by Ministry of Human ResourceDevelopment. This project aims at addressing the lower enrolment of girls in engineering colleges/IITsand technological institutions. It involves training 1000 selected girl students to compete for admission at premierEngineering colleges in India by providing course in an online and offline format. The girl students enrolled in classes XI of KVs/NVs/other Government run Schoolsaffiliated to any Board in India are eligible for the Scheme. The Ministry of Skill Development and Entrepreneurship has launched PradhanMantriYuvaYojanato scale up an ecosystem of entrepreneurship for youngsters. The scheme spans over five years (2016-17 to 2020-21) with a project cost of Rs 499.94 crore. The institutes under the PM’s YuvaYojana include 2,200 institutes of higher learning (colleges, universities, and premier institutes), 300 schools, 500 ITIs and 50 entrepreneurship development centres through Massive Open Online Courses (MOOCs).